Experts from Andersen Consulting show you how to combine computing, communications, and knowledge to deliver a uniquely new-and entirely indispensable-competitive advantage. Your company's ability to sustain a competitive advantage is in jeopardy. Your competitors can imitate and improve faster than ever. You need to find ways to help your company discover and deliver and astounding solution, control its costs, and move on the next astounding solution. Web-based computing is the vital technology enabler for today's most important business opportunities, like E-Commerce. It is also the flexible foundation for future solutions. However, because of the complexities and difficulties it represents, it can be critical hurdle for IT shops and for an entire business. Introduces you to basic principles and concepts, provides an overview of state-of-the-art in client/server and Web-based computing models, and develops a solid business case for implementation. Acquaints you with various technologies involved and describes a comprehensive network computing architecture. 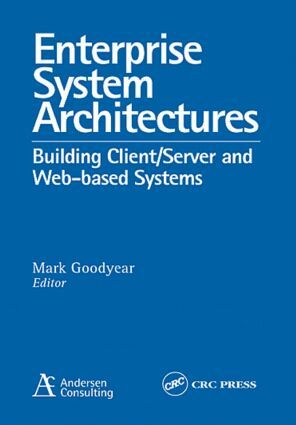 Details crucial analysis, design, and implementation issues, including design specifics for architectures, applications, and network; rollout strategies; and ongoing management of distributed operations. Explores emerging technologies and their likely impact on the future of netcentric computing.